“Excellent well; you are a fishmonger.” William Shakespeare, said by Hamlet to Polonius. (Hamlet Act 2, Scene 2) At that time in the 16th century AD “fishmonger” could, also, mean “fleshmonger” or “pimp,” as in this Shakespearean allusion. “Monger” comes from the Latin word mango meaning “dealer, trader, slave-trader.” It is related to the Latin mangonium meaning “displaying of wares” and the Greek word manganon which means “a means of charming or bewitching.” So a fishmonger, one who sold fish, has always had a bad smell about his name. There is a strong distinction between a fishmonger and a fisherman. The former sells fish and the latter catches fish to sell. Four of Jesus’ closest friends, the Apostles Peter, Andrew, James and John were fishermen. They had boats and caught fish with nets in the Sea of Galilee. The four were partners in a fishing business in Capernaum, located on the northern shore of the Sea of Galilee, and would have exported fresh as well as dried fish to Damascus, Tyre, Jerusalem and the villages around the Galilee. 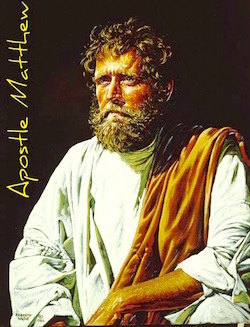 Another of Jesus’ Apostles, Matthew who was a tax collector, could have been in charge of collecting the Roman tax for licenses to fish and then for the additional tax on the fishermen’s daily catch. Until he became an Apostle, the four businessmen (Peter, Andrew, James and John) would, no doubt, have had little regard for the tax collector Levi (Hebrew “joined”), whose name was later changed to the Greek Matthew (“gift of Jahweh”). 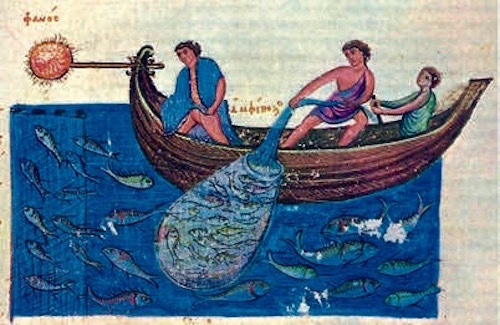 In Jesus’ day, fishing was an important part of the Galilean economy and the tilapia, sardines and carp from this large fresh water lake were prized all over the region. Being a fisherman was then and is now a crucial and an honorable profession. There have always been women, also, who “hawked” fish. 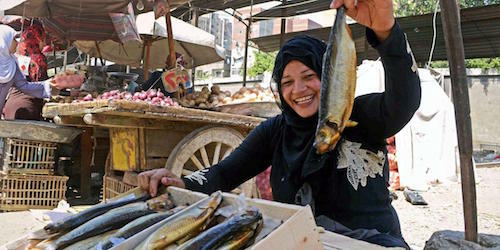 The Egyptian woman in Cairo (below) promotes feseekh, the potentially deadly, fermented, smelly and salty mullet fish eaten for thousands of years in Egypt. 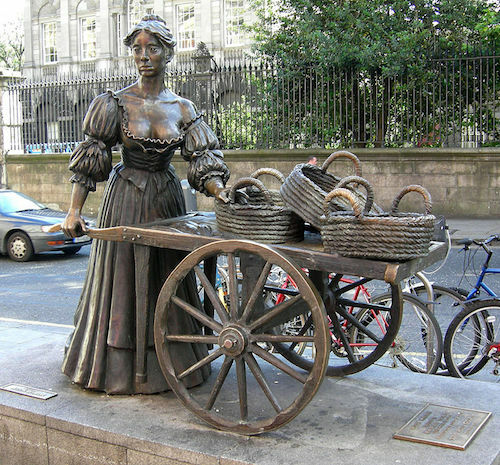 The legendary Molly Malone, famous for the song “Molly Malone” which has become the unofficial song of Ireland, supposedly was a fishmonger in the 17th century who sold fish in the daytime and was a prostitute at night. She had a statue on Grafton Street in Dublin commemorating the new millennium, but her statue is now on Suffolk Street (below). Her statue has been groped by Dubliners and tourists so much that the bronze has begun to wear off on her bosom. Maybe she would have liked that? Sometimes and in some times fishmongers were prized. 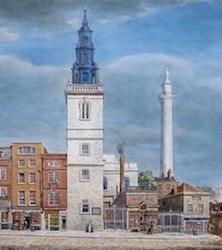 The Worshipful Company of Fishmongers in London were recognized as an organized community when Edward I granted them their first charter in c. 1272. They are to this day a prized organization. Was a pious idea to include the word “Worshipful” in their company. The Worshipful Company of Fishmongers Funeral Pall, embroidered by nuns c.1500, used by fishmongers who were Lying-in-state. Right mermaid, left merman.